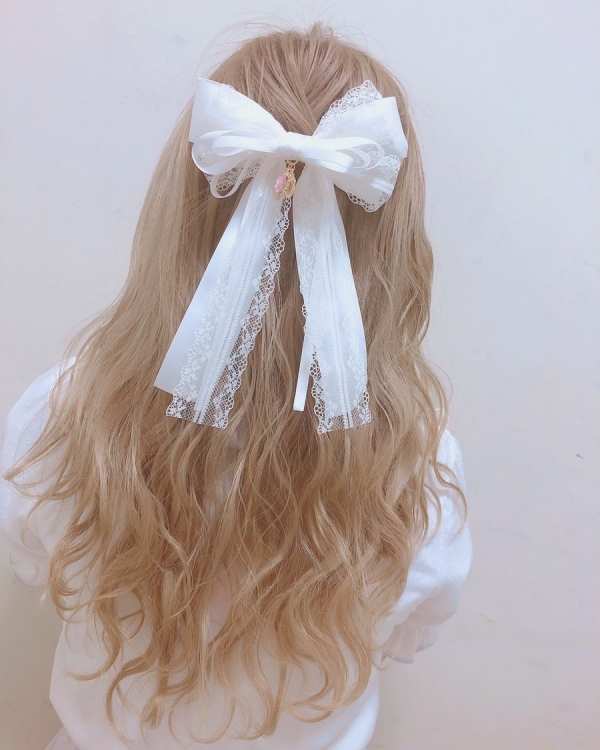 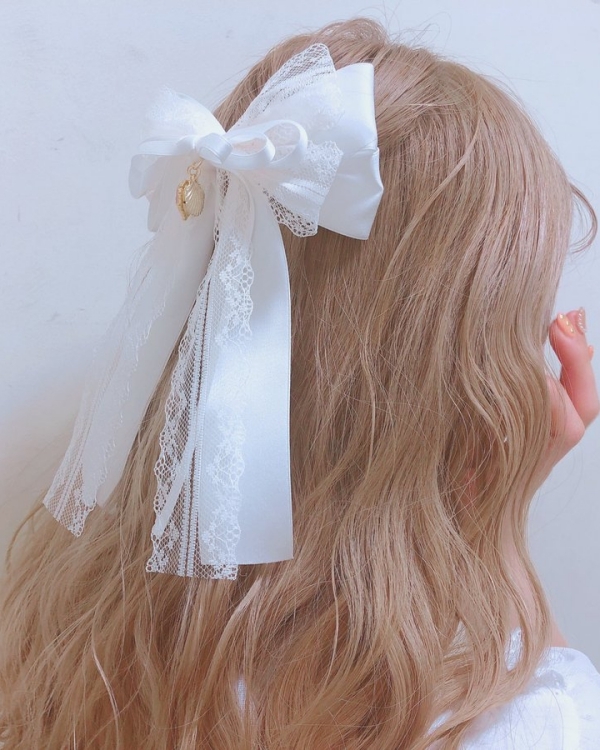 A large size ribbon barrette. 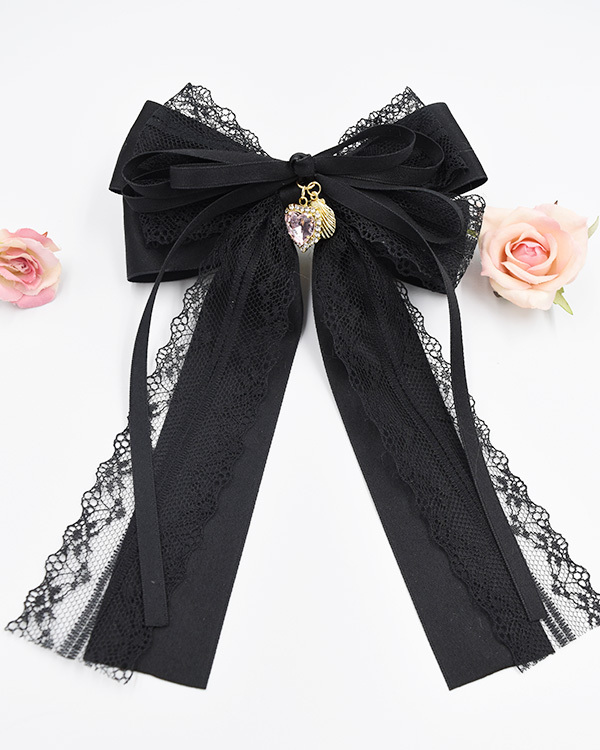 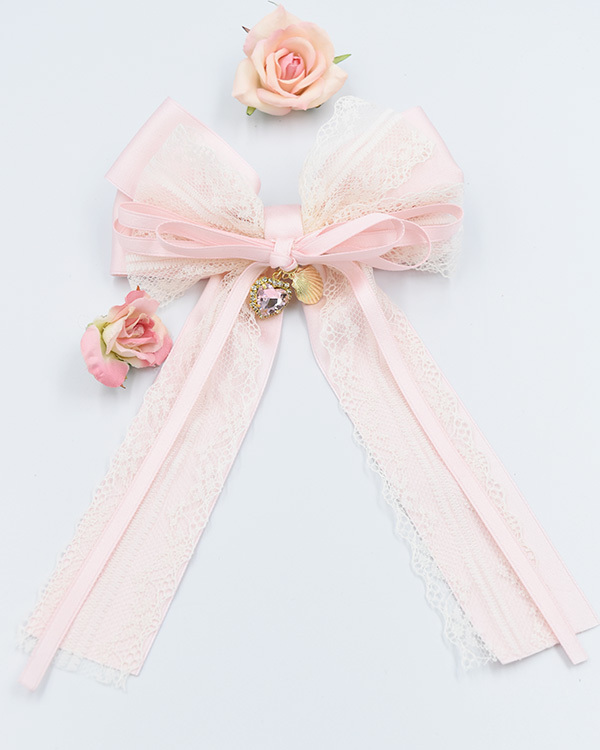 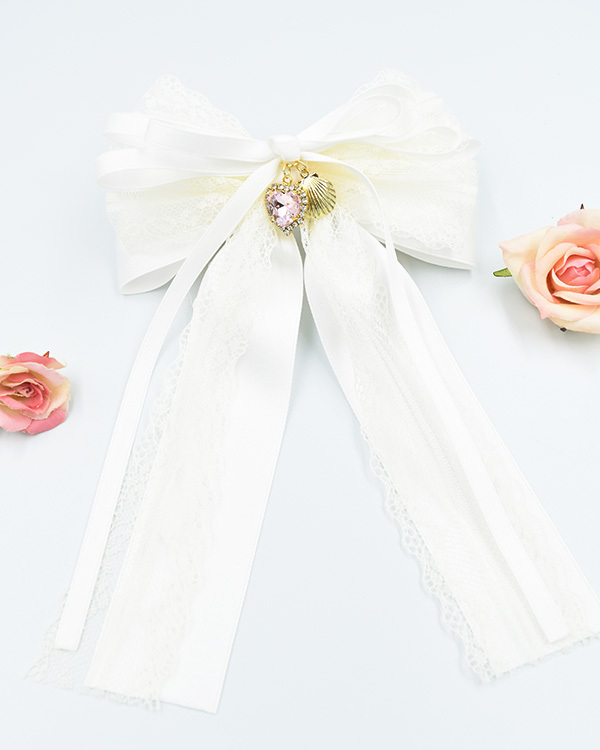 A long design and a combination of delicate lace and satin ribbon. 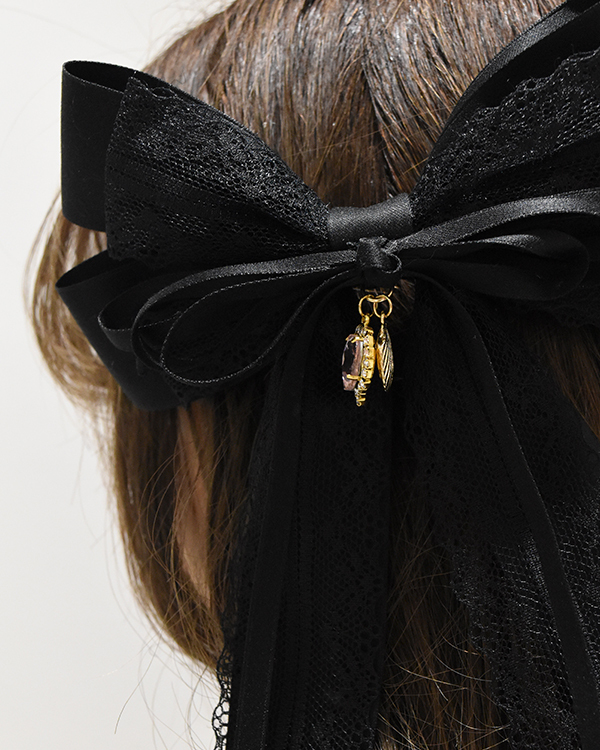 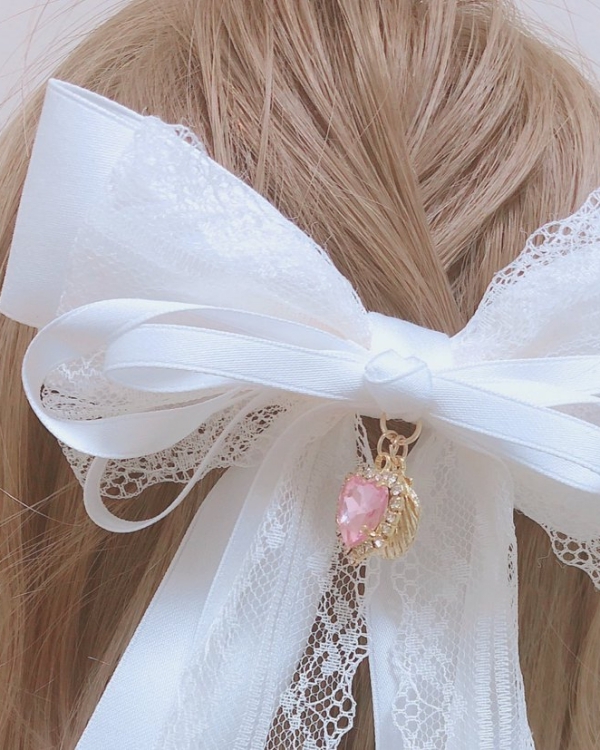 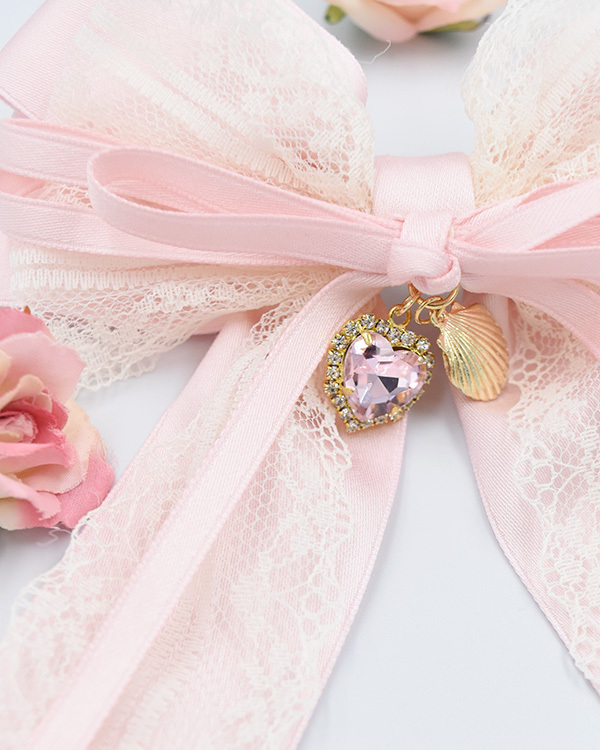 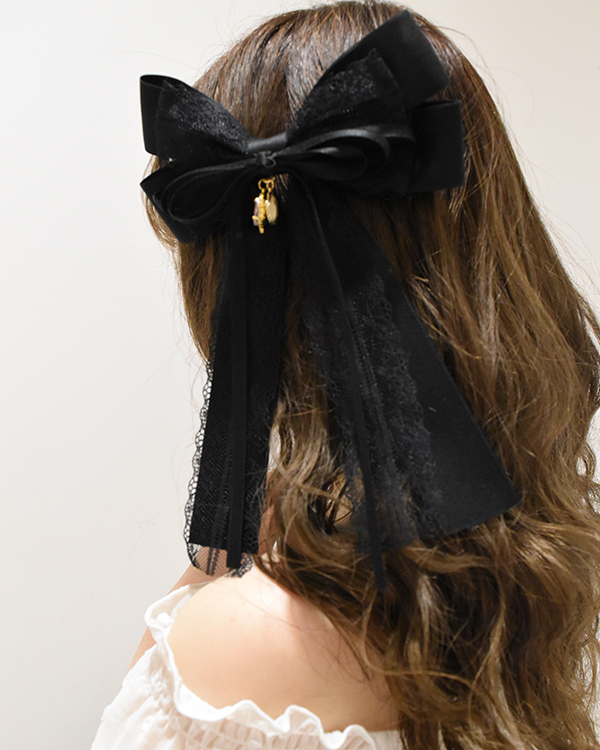 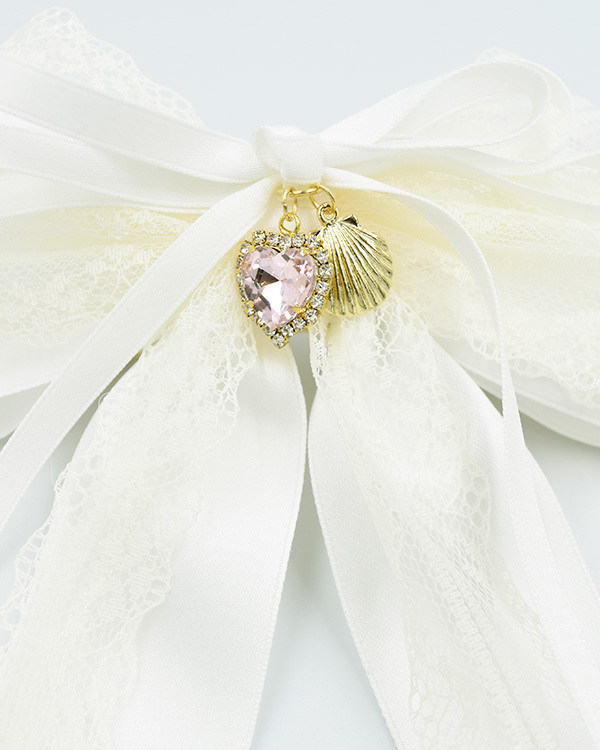 Additional sheel and heart bijou charm at the center of the hair accessory!